VisualKernel 3.1 fully supports SysprogsSync – a highly optimized file synchronization engine that is fully aware of the Linux symbolic links and special file names and will work much faster than the tar-based file synchronization. This means faster caching of kernel sources and modules, less setup overhead and more streamlined development experience. 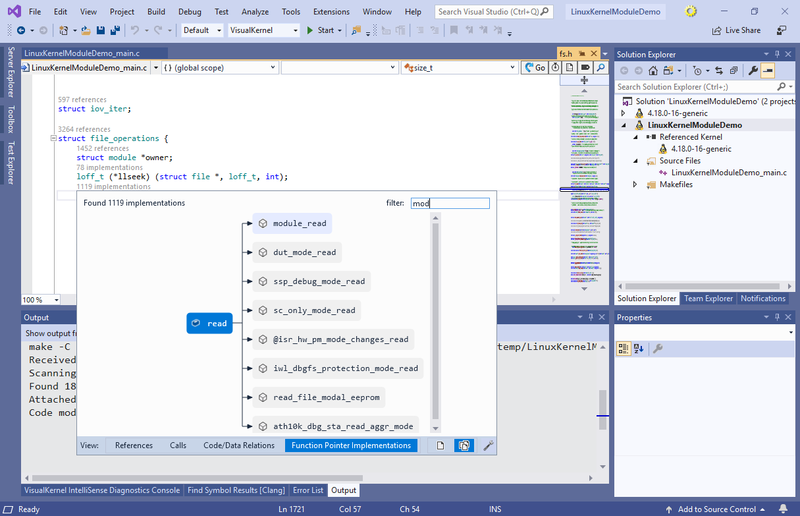 In VisualKernel 3.1 we have added support for Visual Studio 2019 and heavily optimized the initialization logic. 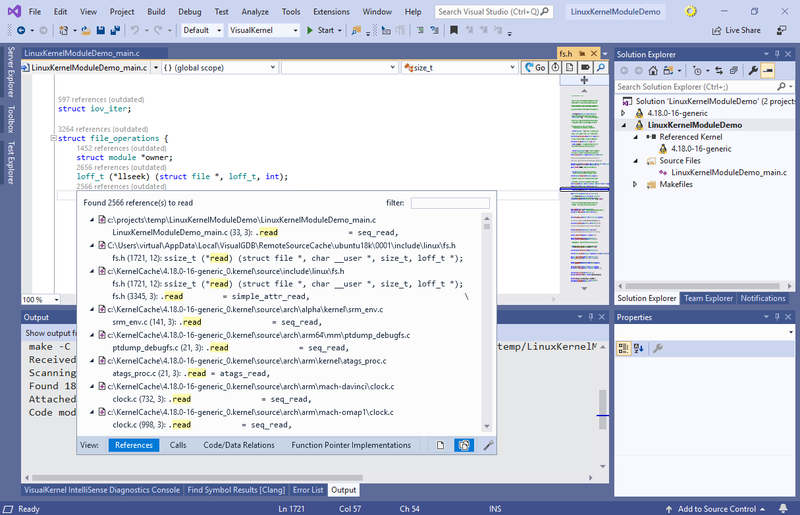 Having VisualKernel installed will no longer affect the Visual Studio startup time, as it will only be initialized once you create or open a VisualKernel-based project. You can download the latest VisualKernel from this page. If you encounter any problems, or would like to suggest a feature, feel free to reach out to us via our support form or post on the forum.